How to reply to those who speak against the faith? 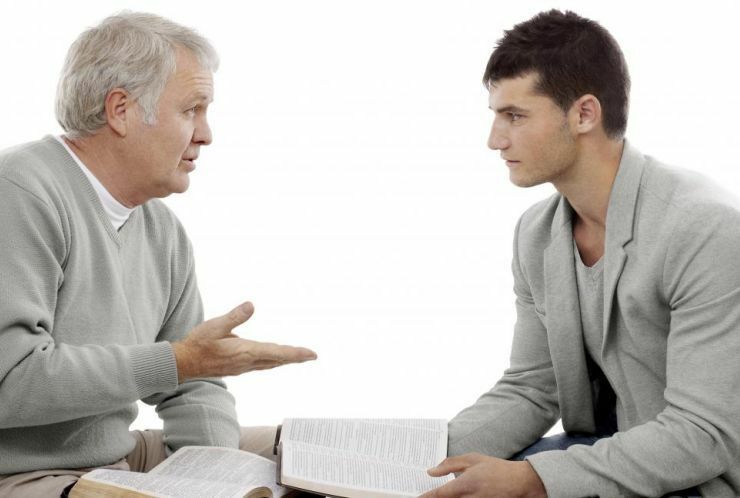 How to reply to a person who says that man is a limited creature and no person knows which the true faith is (which church to attend, the creed, the baptism) in the end, because everyone interprets the Bible for their own benefit, to argue the authenticity of the church which they attend (the Orthodox, Protestant, Jewish, Jehovist, Baptist, etc.). What to answer when he says that everyone is praying to the same God, they only treat Him differently, that any leader of any church will respond to the verse that says “there is only one faith, one Lord, one baptism” that it refers to the church which he leads, that he will use this verse to convince that only where he is the true faith is also. Also, how to reply and how to talk to a person who says that the Baptist church can not be the only way to God, because this church was formed since 1600 and therefore, if it is the only correct way, how could God let people who had lived before in darkness and ignorance? There are four errors in this message that are believed and spoken most often by the people who resist faith. True faith, which can save us, is the faith in the Gospel and the Gospel is the power of God for salvation (rescue) of everyone who believes.The Gospel is revealed in the Holy Scriptures.Those who want to know the true faith should study the Holy Scriptures. And if it seems too difficult for them to study them, at least to read the whole Bible in its entirety, but to read it carefully. Every true servant of God will defend and preach the truth of the Gospel as it is written in the Bible. Jehovah’s Witnesses and Muslims do not worship the same God whom we worship, because in the beginning they deny the person and the being of God, when they deny the doctrine of the Holy Trinity.The true God is made known to people by His Word written on the pages of the Holy Scriptures and those who accept the entire doctrine of the Bible, not distorting it in any way, are those who worship Him. The Church is called to preach the gospel of salvation and to preach Jesus Christ-the only way to God. Not us, not our doctrine, but Jesus Christ, to make His person and work known to people. With the coming of the Lord Jesus on earth, the Light came into the world and the Church of all ages were called to bring this light. The failures and the dark periods of the Church history have given rise to new reforms, movements, and denominations who proposed to bring light and truth. How much they have succeeded, we have to judge for ourselves in the light of Holy Scriptures which contains the Gospel’s message and that have remained unchanged. Let us believe in the Gospel to be saved.